While companies have been investing in “listening tools” that monitor for product mentions in tweets and Facebook posts, consumers have increasingly been moving from text-based social-media messaging to image-based messaging. Every brand has a story—a story the brand hopes to control. Marketing teams, brand managers and ad agencies collaborate to expend vast amounts of effort positioning or repositioning products, market-testing them, considering use cases, targeting consumers, market-testing the marketing messages created for those consumers, and so on. Every brand hopes to nail that process—and the best brands mostly do. But the thing about consumers is that they have minds of their own, which means the real-world marketplace can be wildly unpredictable. Marketers have plenty of strategies to track how their products are actually being received and consumed, with social media monitoring being one of the hottest tools over the past 10 years. But as it turns out, social media, being part of the real world, is also wildly unpredictable—and while companies have been investing millions in “listening tools” that monitor for product mentions in tweets, Facebook posts and beyond, consumers have increasingly been moving from text-based social-media messaging to image-based messaging. The rise of image-centric platforms including Pinterest and Tumblr, and the more recent explosion in the popularity of Instagram and Snapchat, has resulted in a new paradigm in which it’s easier and easier for consumers to show, rather than tell, when it comes to communicating about the products they use every day. Fortunately, technology—specifically, image-recognition technology—has been catching up to this new paradigm, making it possible for brands to “listen” to social-media images, even when those images lack any mention at all of a given product in accompanying captions, comments, hashtags or tweets. 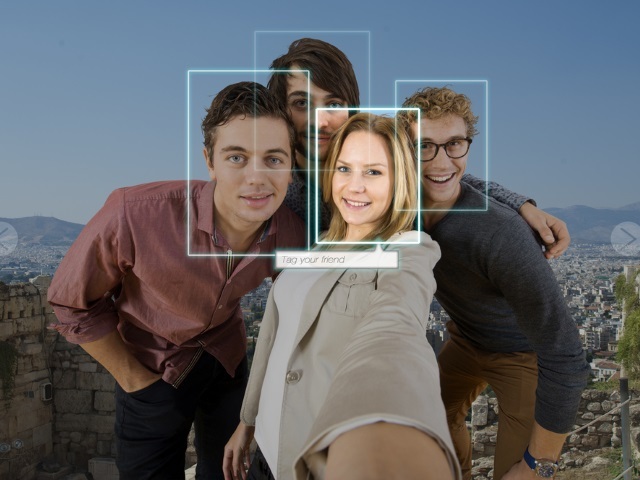 Cutting-edge image-recognition tech is now powerful enough to detect brands even in tossed-off, low-quality photos where products and logos aren’t even necessarily fully in view. For instance, how does a can of Campbell’s soup fit into a consumer’s lifestyle? Traditional social-media listening tools wouldn’t be able to surface this Instagram post of a can of Campbell’s Chunky Chicken Corn Chowder, but image-recognition tech can (and did). What’s fascinating about this post is that the user added a caption with 27 different hashtags but no mention at all of the product pictured. From the looks of this Instagram user’s other posts—which includes shots of herself at the gym and screenshots of a daily step counter—she’s every bit as focused on maintaining a healthy lifestyle as all of those hashtags suggest. In a fitness world obsessed with sports drinks and protein bars, can a traditional comfort food like Campbell’s soup be positioned as healthy workout fuel? For this consumer, yes. Likewise, consider this Instagram image of a box of new Cheerios Protein Oats & Honey, which would be invisible to text-centric social-listening tools but is easily detected by image-rec tech. Like our fitness-minded Campbell’s Soup consumer, this Cheerios fan is big on hashtags, but neglects to mention the product even once. Of course, not every consumer is obsessed with the #gymlife, #fitness and #motivation. Consider the Twitter user who recently posted a shot of himself holding a half-eaten Butterfinger bar with the caption “#breakfast setups” (again, no mention of the actual brand). You might argue that that’s a pretty sad breakfast, but perhaps Butterfinger maker Nestlé, in seeing social-media images of its snack foods used at unexpected times of the day, might consider developing and marketing a hybrid breakfast product—something to fill the gap between the healthy cliché of a granola bar and the indulgence of a candy bar—for consumers like this Twitter user.